To date, we have shipped to 46 countries. Until recently, if anyone had asked us our favorite country to do business with, it would have been hands down – Australia. I didn’t need to think about it at all. It is often difficult to communicate well via email – sometimes you just misinterpret what someone is writing and words can just sound harsh at times. But never with an Australian. Their emails just start out all smiles – G’Day Mate! Cheerio!. Well, the day before I was flying off to Florida to pack up my father for his move here to Tucson, I got an email from someone who bought a doll from me on eBay. It had arrived broken. First she accused me of poor packaging (we pack dozens of items a week, and since starting this business, we have packed tens of thousands of boxes with very few causalities). The doll was packed well and unfortunately mishandled somewhere between Tucson, Arizona and the continent of Australia. No matter how much bubble wrap and stuffing you use in a package, these things do happen. Anyway, I told this buyer that the doll was fully insured and that I was leaving town and would take care of the insurance claim when I returned. I really didn’t think I had to tell this woman my whole life story, but my word is good and if she checked my feedback, she would have seen that we take care of our buyers. After a very hard week of cleaning out 25 years of accumulation, packing up my father’s belongings in hot and humid Florida and taking him home with me, I awoke my first morning back in Tucson to a negative feedback! My first in about a year! I actually was going to take care of the insurance claim first thing that morning. We deal with a private insurance company and they are very quick on paying claims. She would have had her money back in full (including shipping) by the end of the week. For some reason, I thought this buyer was in Austria. I couldn’t believe it when I saw she was from Australia!! No way. The nicest people on Earth are in Australia. I wrote to her and asked her why she left me a negative feedback. I told her I was going to take care of everything that day. First she lied that I never communicated with her. I reminded her about our 6 emails back and forth the night before I left for Florida. I needed photos to show my insurance company. She sent me a bunch. Then she changed her story and told me I didn’t care about the claim. It was only a week and I wasn’t home. I told her all would be straightened out by the end of the week. I kindly asked her to remove the negative feedback. She wouldn’t. She even filed a claim against me in PayPal. Really? Well, normally I would have told her to keep the doll, but she was not playing nicely. I told PayPal I would refund her money, but she had to return the doll at her expense. Silly really, because the shipping would be about $30, the actual cost of the doll. So she didn’t send me back the doll. Now I have a negative feedback for nothing. I became disillusioned with my favorite country until my daughter told me – don’t worry Mom – she probably isn’t even an Australian – just a recent transplant from somewhere far, far away. That made me feel better. I still love the Aussies – there’s sometimes just one bad apple in the barrel. I just found mine. 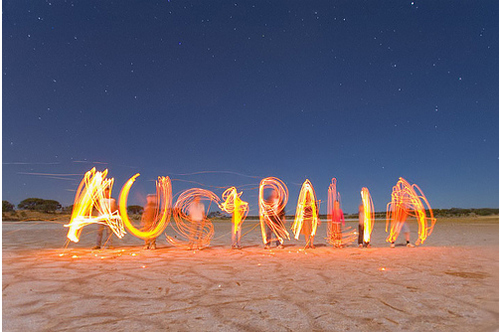 The rest of the Australians are just great. Ever hear the expression, “Timing is Everything”? Well, this certainly applies to the auction world. If you are lucky enough to have a very rare and unique collectible, you could sell it on Christmas day and still demand a high return. However, more often items require good timing to result in highest returns. Last year we were given a number of Dept 56 Christmas buildings very close to the actual date of the holiday. We sold a number of them for a good price, but when we tried to list the remaining buildings after December 25, they didn’t even get a nibble at the opening bid. This year we were given over 35 Holiday Barbie dolls at the beginning of December. Again, we rushed to get them up quickly and they sold pretty well – they will all be out in time for the lucky winners to open them under the tree. These dolls would just linger in January. Richie and I were watching an episode of the new TV show, Storage Wars – where people buy out the contents of unclaimed storage lockers. Two guys got a box of Holiday Barbies and stated they were worth $40 each – these clowns give a bad name to the auction world – these dolls don’t even command that price at the height of the market, with very few exceptions. If you want to get the best value with jewelry adorned hearts – aim for the few weeks before Valentine’s Day or Mother’s Day. I know it sounds glum, but when a celebrity, like Michael Jackson, passes away – if you have any memorabilia of his – put the auction up immediately – a few weeks later the value will drop like a lead weight. A few years ago we sold a Bob Hope video for over $20 only to find out that he had died the night before. If a new video game system or an Apple product allows you to pre-order it – scan a copy of your receipt and make it a one day auction. Once the general public can buy the same item, your chance of making a profit plummets. Even time of day or day of week can make a difference. Unless you are looking to reach an audience in a different country and you think they may be the only ones to bid on your item, it is best to start an auction at a reasonable time for people across the United States. We try to start our auctions in the early evening on the West coast, so that the East coast is still awake. Ending an auction in the middle of the night is not going to get the best bids, since these days, most of the bidding comes in the last few minutes and sleeping people don’t bid. An auction demands the best price that someone is willing to pay. However, sometimes you can get a little advantage when you think about the best time of day, week or month to list the item. A little thought can sometimes go a long way to better returns. We have alluded to this topic many times over the past months, but it takes a special type of individual to sell on the internet in general and eBay in particular. We started selling on eBay to unload a bunch of video games that our son had collected over the years…this was more than 9 years ago. Some 50,000 sales later we are still going and Judy has become an expert in many areas especially navigating around eBay. Over the years eBay has evolved, in our opinion to the detriment of its users, into a large and difficult environment to work within. We also feel that final prices have come down some over the years. The many rules that one must learn and adhere to, make it most difficult and frustrating to sell on their platform, and they are always changing things without notice. When one calls support, you are told that you should know what is taking place, a college degree is easier to obtain than learning what is and isn’t permitted to be sold. Our general feelings and experiences are that sellers have been relegated to a subordinate role and it has hurt our business somewhat. To sell on the internet, one must be very patient, detailed and open-minded. You are dealing with people from all over the world, looking for a quality product at a “cheap” price. The process to post an item for sale is extremely laborious and remember you are dealing with the individual whims of the buyers. One is continually asked questions about the item for sale, even though, in our case, Judy is extremely descriptive in her presentation. If an item is not described to the smallest detail, someone will come back at you with a complaint. Often we find that the buyer just hasn’t even read what had been posted. Often, the questions come with very little time to answer as the auction will end within minutes of receipt of the inquiry. When selling for individuals, which is our primary role, we are often asked to deal with unreasonable expectations as to selling prices and even sometimes how the pictures and descriptions are presented. This makes for very difficult auctions and on occasion, we simply tell the client that we cannot sell for them under such circumstances. It is the nature of selling and dealing with people. In spite of the drawbacks, the excitement surrounding selling an unusual piece, which you sometimes consider “junk” makes for interesting times. Judy in particular is very detailed and spends an inordinate amount of time researching pieces she puts up for sale. We have developed a network of knowledgeable individuals who do help us identify puzzling items, and usually we will sell something for a reasonable price, often for more than we have seen the particular item recently sell for. It is a challenging business, with the world as your competitor. eBay is a great place to sell the occasional item that one is trying to unload, but when a hobby turns into a full-time endeavor, beware and be forewarned…it is not for everyone! We would love to hear from eBay users about their own experiences and observations, just post any comments here on the blog. 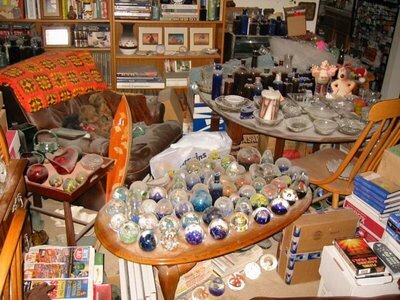 I know there is currently a television show on Cable TV about hoarders which I personally find hard to watch. However, in the life of an eBay Trading Assistant, I actually have come across some of these people in real life. The worst one was an older, very intelligent woman who had a house full of antiques, mixed in with a lot of junk piled up from the floor to the ceiling. There was literally only a small, single file path from her front door through her living room to the kitchen on which to walk . I couldn’t believe someone lives like this. She knew everything she had and where it was, but the hard part was getting to it without being in danger of something falling on your head. Even her bed was completely covered with things. There was one place to sit in the house – a small space on the living room sofa. If the fire department could have seen that house, I’m sure it would have been condemned. Now, whenever someone apologizes for their messy house, I mentally compare it to that woman’s house. If I can walk without fear of objects landing in my path, I feel safe. There are certainly a lot of hidden treasures in these homes, but getting to them can be a challenge. Working with hoarders presents additional issues. We have to inspect their items more carefully than those whose owners have lovingly displayed or stored their valuables. Listing on eBay requires careful attention and disclosure of many details – including any flaws that an object may have. These homes are usually not going to win the Good Housekeeping Seal of Approval and we often have to clean up many of these pieces which takes additional time and work on our part. We also have to spend time cleaning our hands and sometimes changing our clothing. We work hard for all our clients to bring them the highest returns. In these cases, we often work double time. No wonder I am writing this blog at 9pm on a Friday night – there is so much to do in this business and the days are way too short. For the women – remember when mini skirts were all the rage? Or maxi skirts? Shoulder pads? For men – remember skinny ties? Fat ties? Wide lapels? Thin labels? 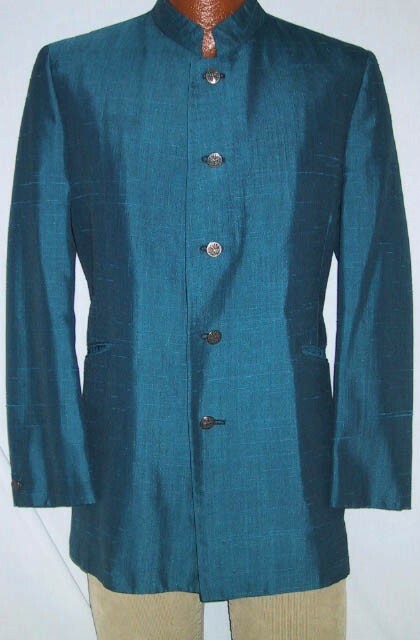 Nehru jackets? Well, styles come and go. I have one friend who never gets rid of her clothes. Lucky her, she has stayed the same dress size forever. She says all the clothes will come back in style one day. In the antique world, there are also many items that just don’t capture the attention of many collectors these days. China and glassware come to mind. Depression glass used to be highly collectible. Today, unless you have a rare, one of a kind piece, you can barely give it away. We get calls on a daily basis from people who want to sell things. I don’t even take dishes or glassware anymore (with very few exceptions). It is just not in style to make elaborate dinner parties. Your mother’s Noritake service for 12 just doesn’t have too many takers. People use Chinet at their dinner parties. Years ago, Bennington, Wedgwood, and various other pottery companies brought in big money. Not today. A woman called us yesterday with something she called “Creamware”. 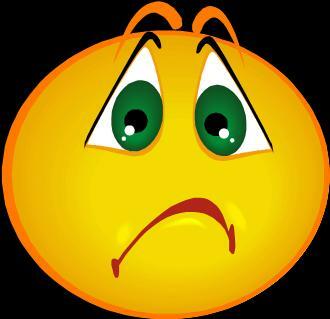 She hired an appraiser who told her she was “pessimistic” about the value. I agreed. She didn’t want to hear this from me or the appraiser, so hung up. Sorry, but there just aren’t too many buyers of creamware platters in today’s market. There are things that do great regardless of the times. Pocket watches, old clocks, original Barbie doll clothes from the 60’s, model trains, WWII and Civil War memorabilia. These things will sell even on Christmas day. There are collectors all over the world on the look out for these items every minute. Prices may fluctuate, but the demand is always there. Some antiques may come back in vogue one day. But for those collectors of Norman Rockwell plates and Beanie Babies – I would suggest a yard sale – those things will never have any value again. eBay has recently been pushing their “Buyer Protection” plan. They want all buyers to know that they should be confident when buying on eBay. Like Shaq, on the Comcast commercials , eBay’s “got their back”. That’s fine. But what about sellers? Who protects us from unscrupulous bidders? Since the demise of negative feedbacks for buyers, we sellers are unaware of those sellers who are either deadbeats or trouble makers. But, we have found that there are some tell tale warning signs. We are inundated on a daily basis with questions. I understand that not every picture can capture the angle that the bidder is looking to see. Most questions are certainly legitimate. However, beware of those bidders with too many questions (when I get a plethora of questions from the same person, I can’t help but hear the robot from the TV show “Lost in Space” shout out – “Danger Will Robinson”). I recently had an auction with 32 original Beatles trading cards. We took a number of photos, but the value of the cards did not necessitate 32 photos. The cards were in good shape – no tears, pin holes or markings. I listed the numbers of the cards and we posted about 6 photos. One guy wrote me at least 4 times asking me to email him photos of each of the backs of the cards. He also asked for the numbers on the back of the cards (as I said, the numbers were listed in the auction description). RED FLAG. I have been doing this too long – I should have known better and blocked him immediately. eBay allows you to keep a list of blocked bidders – those we just don’t want to sell to, for whatever reason. Usually, this list gets populated after the bidder becomes a deadbeat. However, it is also a good place to add those people who ask too many annoying questions before the auction is complete. Silly me – I didn’t block this person. And he won the auction. Now he is complaining that the cards have marks on them, etc. I looked up his feedback and see he is a seller of these Beatles cards! Is this a case of bait and switch? I had another person write me 10 times in one hour asking detailed questions about a piece of car stereo equipment. I have sold two of these same pieces with no problems. The item has never been used. I listed the make and model and showed photos. That is about all I know of this piece (car stereo equipment is just not my thing). There is plenty of information about this piece of equipment on the Internet. Look it up. I wrote the guy and told him that I am not familiar with this item and that if the photos and model number were not enough, I would suggest that he not bid on this one. I also just blocked him. Go away. This piece is too heavy. This guy will never be happy and the shipping costs are too big to risk having him return it to us. Problems are inevitable in this business. But for the few that can be avoided ahead of time, sellers, take note. 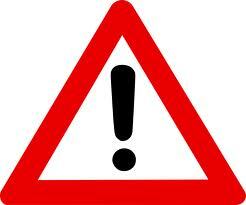 Heed the warning signs! Yesterday was Sunday. The phone rang at 7:15 am. My father is 90 years old and lives alone in Florida. A phone call at that hour on any day of the week is enough to startle me out of bed and run for the phone because I am worried something has happened to him. On top of it, yesterday was Sunday! The caller wanted to know if I could come over right then and look at his stuff to sell on eBay. I know that some people are early risers, but what happened to a little common sense as well as consideration for the time and day? I first started to talk to him and then realized, what am I doing? It is 7:15 am on a Sunday and I was dead asleep. Normally, I try not to be rude on the phone, and this time was no different. However, I did tell the man that it was 7:15 am and he woke us up. He answered, “oh, I guess it is Sunday – I’ll call later”. I may not be a lawyer or a doctor, but I do consider myself a professional. But sometimes I feel like the hired help. I have made thousands of dollars for people selling things that they didn’t even know had value. I spend hours a day researching the items I am selling to get the best value. Most people appreciate our efforts. I may not be working at Sothebys or Christies, but after selling on eBay for the past 8 years, I think I have enough experience to get a job at a big auction house, if I tried. But as the famous comedian Rodney Dangerfield used to say, sometimes we just “don’t get no respect”. We have met clients who don’t even let us in their home and have all their stuff laid out in the garage. During the summers in Tucson, a garage could easily have a temperature over 105 degrees. I have to stand there writing down all the items they are giving us on a list, while Richie is sweating through his clothes packing their items up and loading them in our truck. We recently tried to sell 3 items for a client who brought them over to our house a day before I was leaving for Boston to take my daughter to Harvard Law School. I told him the items would be listed the next week. I got home on Sunday night and was confronted with an email from the guy asking why I hadn’t listed his stuff. Sorry buddy, I really wasn’t thinking about you while in Boston. The items were listed on Monday and Tuesday, and didn’t even sell because he insisted on listing at some outrageous starting price and Richie actually told him to come over and pick them up as he was way to difficult to deal with. A couple of years ago we met a client who lived about 40 minutes from us. She had a lot of china pieces. Richie spent over an hour packing each piece as if we were getting it ready for mailing. I sat at her dining room table and took copious notes. I asked her over and over again if she had any prices in mind and if there were pieces she didn’t want to let go if they didn’t meet her expectations. She said she didn’t have any prices in mind and left it to me to determine value. We started listing her items the next day and as I always do, I sent the client the auction listings. 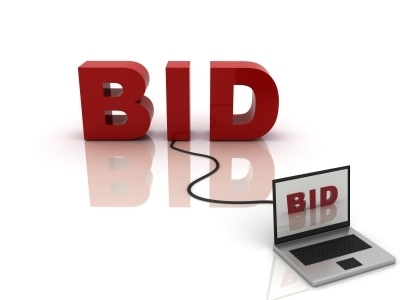 After a couple of days (and many listings), I get a call from the woman and she said – I saw your auctions and they look good – but what if they sell for the starting bid? I explained (I feel like a broken record, since I say this line so many times) that an auction is a binding contract and if it sells for the opening bid, I must sell it. That is why I ask people if they have a minimum price in mind. If they do, I either start the auction higher, or if I feel that their expectations are too high, I just return the goods. So, the woman told me that the opening bid was too low – she wanted all her stuff back. With one exception, the auctions did not yet have bids. I was sitting at my computer and I told her to tell me what prices she wanted me to raise the opening bid. She said she didn’t know and insisted she wanted her stuff back. At this point I was angry. We literally spent many hours working for this woman for nothing. Her stuff would have sold – it was collectible. She said she would be over the next day. I have never asked anyone to pay me for my time before, but this woman really annoyed me. In addition to our time, there were quite a number of eBay listing fees we had incurred. I didn’t even want to see this woman when they came to our house. I told Richie we should give her a bill, but we didn’t. When she came here, her husband actually offered us $5.00. Seriously? 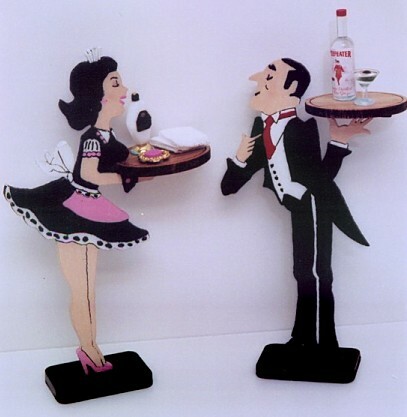 His “generous” offer was refused – but Richie felt like saying “you have to live with her, you have earned it”, instead he took on the role of the butler and remained silent. So, I ask you and have said this before in earlier pieces, do you really want to sell on eBay full time? Let us handle things, we are developing thick skins. I have been talking about getting a Smartphone for the past couple of years. I don’t text. I don’t need a phone to check my email. I just wanted a phone that could check the UPC codes so that I wouldn’t have to call Richie when I go out on my weekly trip to buy DVDs. We have been selling media on Amazon for the past 8 years. It started with VHS and CDs that we would buy in quantity every Saturday when we would go to garage sales in New Jersey. Now that we live in Tucson, we mostly buy DVDs from second hand stores. I spend each Friday traveling on my regular route and the only way I would know if the DVDs were worth anything was to call Richie who would check the prices on Amazon using the home computer. This process was very time consuming and often frustrating. For some reason, Richie could never hear at least one of the numbers when I read him the UPC code. Or else, the phone would ring at home and I would have to wait for him to get off the phone – most of the calls are business related. 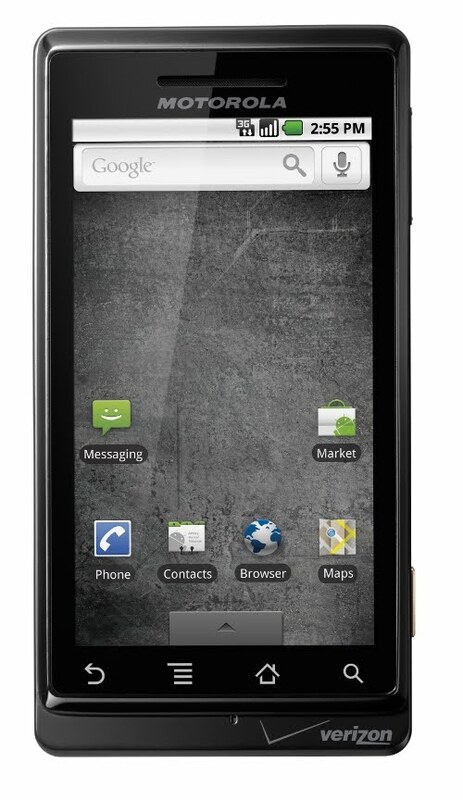 I wanted to get a phone that could scan the bar code and show me the prices, but I always resisted because of the cost. Was it really worth an extra $30.00 a month for this little luxury? Well, my daughter needed a new phone and my phone was 2 years old. So I did it. I caved in and got a Droid. Within minutes, I downloaded a free App from Amazon and Voila! I can scan bar codes! It’s amazing how fast I can check prices. If I decide to buy a DVD, I can add it to my “Watch List” on Amazon and instantly Richie can see the list and enter the DVD for sale. No more phone calls. No more “can you repeat the last digit”. Quick and easy. Always looking for ways to improve our methods of buying and selling on the internet. What was I waiting for? Well, better late than never. I’m in love with my new phone! Some people’s eyes light up when they pass by a candy store. For others, a jewelry store window is magical. For me, its boxes. No matter where I go, if I see empty boxes, I can’t help but stop and size them up. With very few exceptions of local buyers who pick up their winning auctions, we have to ship on a daily basis. We prefer to ship Priority Mail – the post office is generous enough to supply these boxes free of charge. But many items must be sent either FedEx or Parcel Post. For those, we need boxes. Not any box will do. The box has to be sturdy and in good shape. 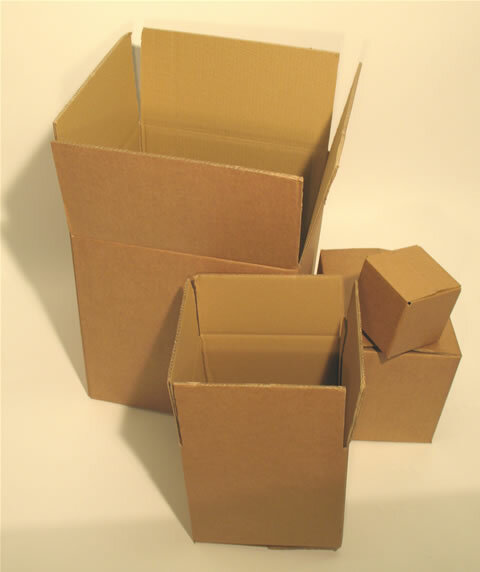 Of course, we could buy boxes, but that would add to our costs and it’s difficult enough to get buyers to pay for actual shipping costs – try telling them that they have to pay for a box as well. We also have to buy packing materials such as bubble wrap and packing peanuts. But we try to get boxes for free. Our local supermarkets are very generous and will save boxes if we ask. But many times, we will be walking through the aisle of a store and see the clerks unpacking and piling up the empty cartons for disposable. We size up the boxes and if they look good, often ask the clerks if we can take them. Many a time I have embarrassed my kids while shopping with them. Even on vacation, I can’t help but notice empty boxes and wish I could take them home. I just got back from Boston, helping my daughter move into her dorm at Harvard Law School. As I unpacked the boxes, it broke my heart to break them up and bring some really good boxes down to the recycling area. Luckily her suite had a storage closet. I carefully folded some used bubble wrap and put some boxes into the closet – it was just too hard for me to throw it all away. She may need to ship some things herself and you never know where she’ll be able to find good boxes without me looking out for them. A Method To Our Madness! We post auctions every Sunday evening through Thursday, with the occasional Friday night special. We figure that most people do not have much interest in bidding on items once the weekend begins and other activities kick in. However, Sunday night is the time to catch up and we try to post as many auctions as possible. Auction preparations take hours, but we generally upload them between 4:30 pm to 6:30 P.M. Our reasoning is simple. Since we live in Tucson, we figure that the West coast is arriving home from the weekend foray on Sunday or work during weekdays, and it is not too early to capture these potential bidders. Also, it is not too late on the East coast, what with the two or three hour time difference when most people may want to go to the computer “just one more time” before turning in. We have been selling on the internet for over seven years and have become quite adroit at determining what will go up for auction or just listed with a fixed and/or best offer price. If Judy thinks that a very uncommon item will attract just a few serious bidders, if any, she will generally post such an item at a fixed price with no bidding required. If it is an item in great demand, we believe that an auction is the way to go. If we get a lot of the same type of items from a client, we try to post multiple auctions each night, for several nights. We are hoping to entice a collector to bid on multiple auctions in an attempt to fill in or complete their collections, without the headache of searching for it over a long period of time at different sites. We offer the bidders the ability to combine their winnings into one shipment to save on postage. 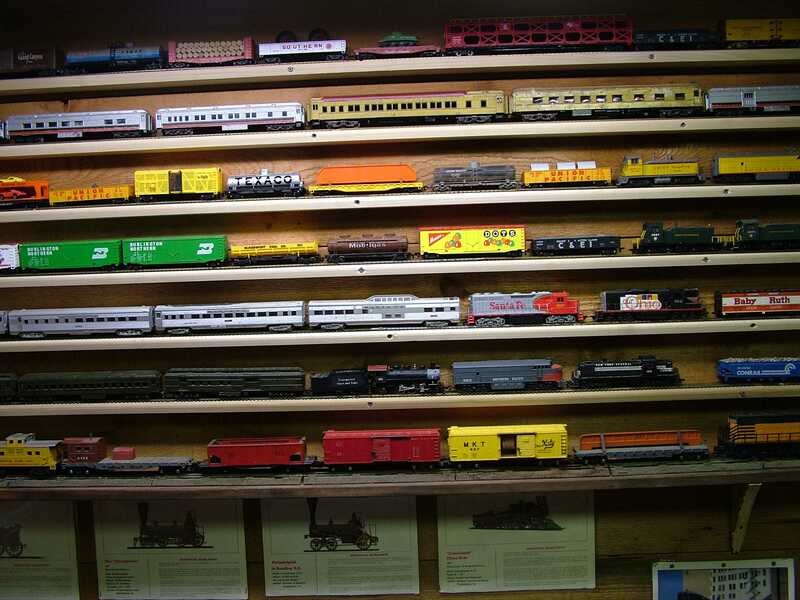 We are currently listing a huge lot of model train cars with this thought in mind. 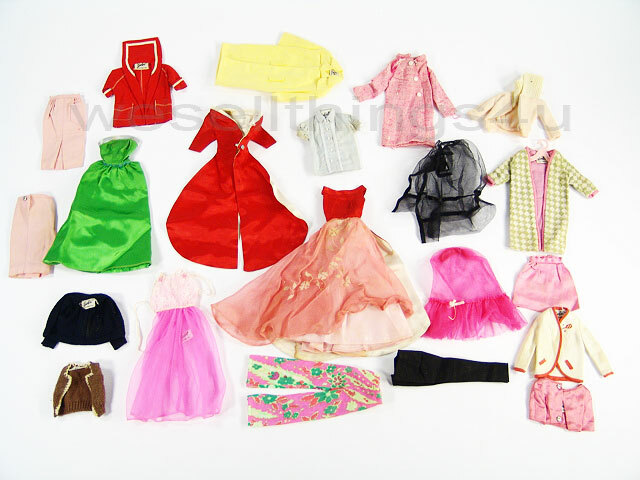 We recently sold a vintage Barbie doll and her clothes in multiple auctions. Our client brought her collection to the Antiques Roadshow when they were in town and was told it was worth $100.00. Judy researched each item extensively to make sure she had the right accessories that go with a particular outfit and to name it correctly. In the end we sold this collection in 12 individual auctions over a few nights and brought in close to $450.00!! It is a total challenge selling on the internet. The research that goes into a sale, the logic of how and when to list (do you really want to end an auction on Christmas Eve), establishing the opening bid price, etc. are just a few things that must be considered to have a successful auction. I would think most people believe it is a piece of cake to do what Judy and I do, and if you are selling the occasional piece it may be, but I close with these words…“let the seller beware”.